The Suburban Style Life: Giving Some Sponsorship Love! Hi there!!! I wanted to take a moment to give a little love to the sponsors over here at Karen At Home, they have provided some amazing giveaways and discounts over the last several weeks, and I can't show my appreciation enough!!! First, I would like to introduce to you Bibeezbaby, our newest sponsor here at Karen At Home. 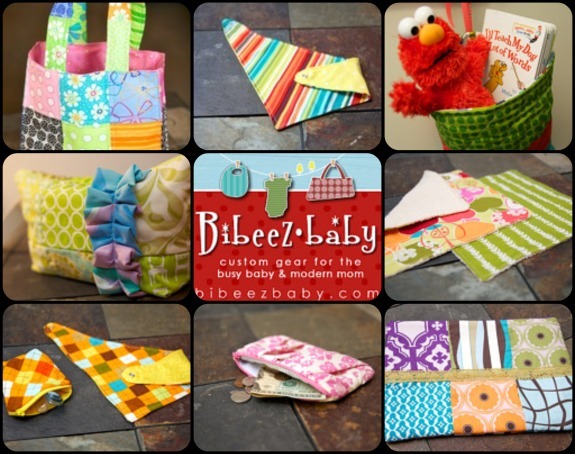 Bibeez Baby is custom order, handmade baby gifts, designed and made by a mom to make things a little easier and a little more adorable! Please check out this amazing Etsy shop, you will be blown away by all of the colorful bibs, diaper clutches, and pacifier pouches. 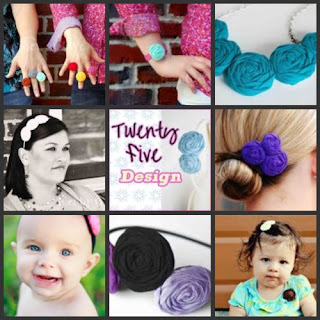 Twenty Five Designs goal is to provide you with funky, fresh and inspired accessories. Torie pride's herself in offering high quality items for you and those you love at a reasonable price. She believes that customer service is so important and would love to have you as a returning customer! Twenty Five's goal is your satisfaction! Custom orders are welcomed too! Torie, the creator and owner of 25 Design, was one of the very first blogging friends I made after giving birth to Jillian. We both had infant girls similar in age and we just clicked. I loved reading her blog posts about her daughter Rylie, and was inspired by her personal sense of style in her 'Steppin Out' posts. I was also blown away by her adorable hair accessory shop, Twenty Five Design! What girl doesn't like trendy and beautiful hair accessories? What is most amazing to me is that Torie makes these herself!! Torie started out making baby and toddler hair products as a hobby when she realized that all women want to look and feel pretty no matter what their age. Thus, Twenty Five Design the store was created. Torie has been kind enough to offer a 15% discount for my readers who use the code KAREN15. You will get 15% off of your entire order! Head on over now to Twenty Five Design for some Funky, fresh and inspired accessories. Please check out Torie's adorable shop today and pick out a treat for all of the special women in your life!! 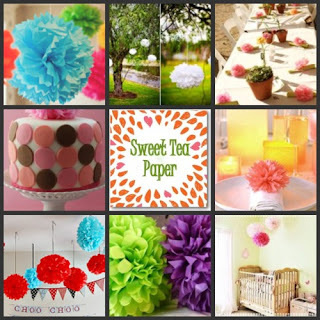 Sweet Tea Paper is an Etsy Shop that who specializes in full, fabulous, high quality tissue Pom Poms. Sweet Tea's Paper Poms are sure to be the statement piece at your next event. They are the perfect decor for weddings, wedding showers, baby showers, nurseries, and birthday parties! As a busy, working Mom, I am always looking for ways to save time and money when planning a party or an event. Sweet Tea Paper can help you achieve both!! Sweet Tea Paper is giving away a set of napkin poms to one of my lucky readers. Wouldn't these look adorable at your next party this Summer? You'll find a little bit of everything at Sweet Bean, from invitations to full party packages, Shannon does it all! All design products can be easily customized. If you are also interested in having a Bloggy Makeover or just want to purchase a premade design template, Sweet Bean can help you with all of your blog design needs! 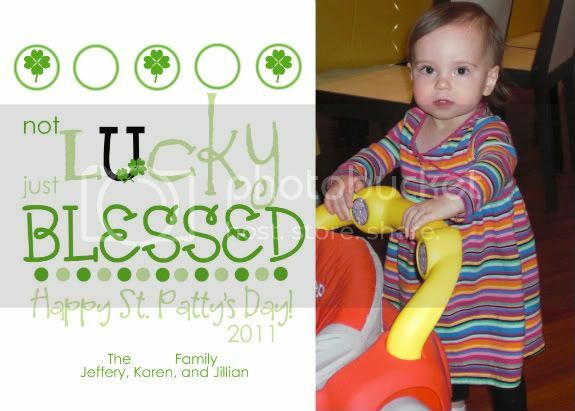 Sweet Bean Designs can create cards for any holiday and any occasion. 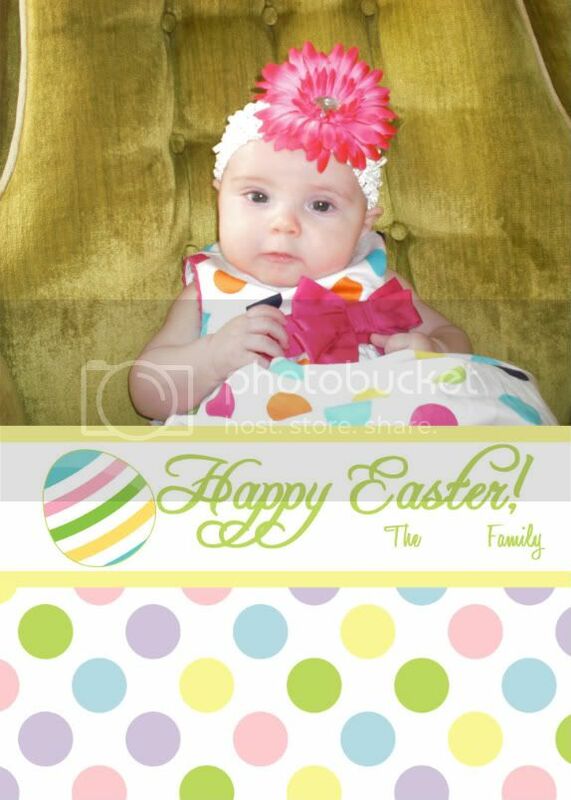 Check out these adorable cards that Shannon made for our Jillian. Little Loves' Designs is full of super adorable baby accessories that are so on trend right now. Mandy, is the owner and creator behind this fantastic shop. 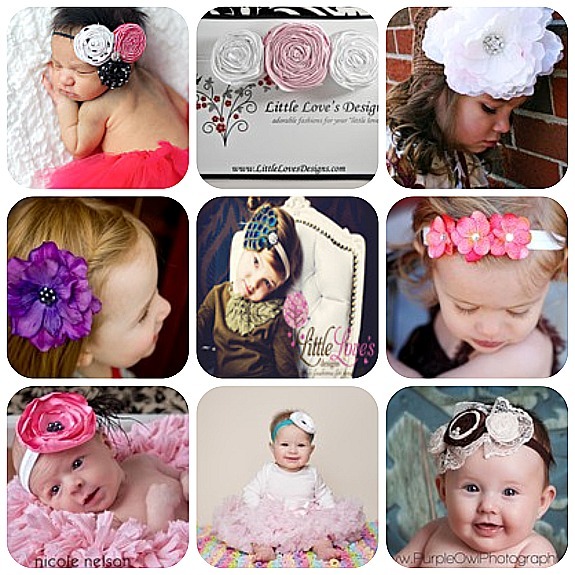 Little Loves Designs' carries the latest styles in baby headbands, teen headbands, adult headbands, flower headbands and hair clips. She uses high quality materials on every design she makes. Each of the flower headbands are handmade when ordered with attention to detail as her number one priority. Thanks again to all of my lovely sponsors!! Please show them some love by stopping by their shops!!! Interested in becoming a Karen At Home Approved Sponsor? I am now accepting applications! Please contact me at karenathomeblog@yahoo.com for more details.